This workshop is devoted to learning the guitar styles and techniques of the Lonnie Johnson, one of the most gifted and original guitarists in blues and jazz. I’ll be teaching some of Johnson’s most famous compositions and and breaking down his complex technique into a practical “toolbox” to use for playing his music and for your own improvising. The focus, as always, will be on understanding what you are playing and ways to create variations within a tune by playing off the chords and using syncopated picking ideas. 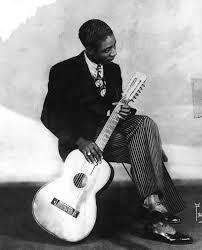 Johnson’s playing represents some of the most sophisticated and elegant guitar work and the “bridge” in many ways between country blues and early jazz styles. 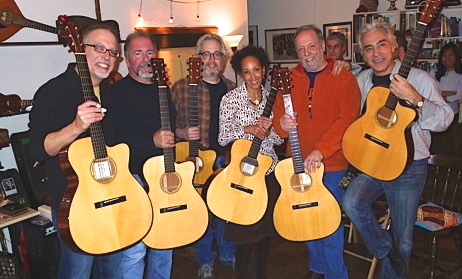 This is a workshop for guitarists who can play the basics of fingerpicking and understand basic chord positions. Space is limited. Once registered you will receive complete details and how to prepare for the workshop.